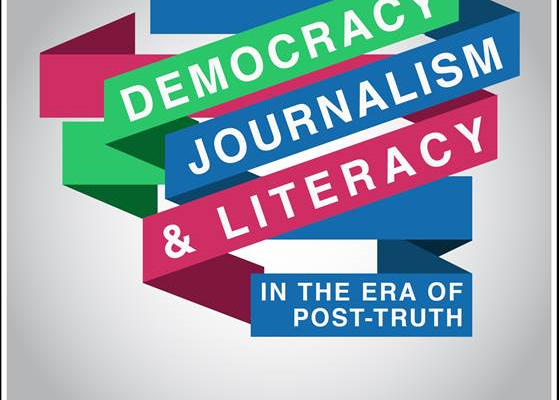 “Democracy, journalism and literacy in the era of post-truth” was the topic of a discussion at the European Parliament on 5 December 2017, held by the Centre for Media Pluralism and Media Freedom (CMPF), Media Literacy for Citizenship (EAVI), and Italian MEPs Barbara Spinelli and Curzio Maltese. Barbara Spinelli, the rapporteur of an own-initiative report on media freedom, referred in her analysis to the unprecedented level of self-censorship among journalists referring to the Council of Europe study”Journalist under pressure” . He report will among other deal with this, the urgent need for whistleblowers’ protection and how to tackle the effects of the economic crisis in media. The buzzword “fake news” is not the main problem for the relationship between journalism and democracy, argued Damian Tambini from London School of Economics (LSE). Tambini said that private sources of power dominate public opinion; new editorial intermediaries such as search engines and social media change the fabric of editorial processes . He argued that media freedom, media democracy and media pluralism need to be redefined via structural reform, taking into account new digital platforms. We might need a wider definition of #MediaPluralism and new accountability structures, that we have not defined yet. General secretary for EAVI, Paolo Celot, added that it’s not just an issue of “fake news” but also of media literacy. Unhealthy consumption results in unhealthy consequences, and there needs to be more education on what and how to consume media, Celot explained. Renate Schroeder, director of the European Federation of Journalists (EFJ), stated that in an increasingly polarised world, the role of journalists is ever more important to digest and explain this world to the public. Yet, this is difficult as journalistic independence has declined, and new business models are still in niche format. Regulatory changes, the reformation of press subsidies to includes different models, and citizen-financed digital platforms are some of the ways forward. “The financing of independent and quality journalism is one of the central challenges for the safeguarding of our democracies, for the public right to know and for journalists and their economic and psychological survival,” Schroeder argued, and discussed several funding models including public funding for journalism as a public good . Threats to journalistic independence and journalists’ rights are assessed by the Media Pluralism Monitor (MPM), said CPMF director Pier Luigi Barcu. outlining how the MPM is adjusting its research to digital-related risks such as algorithms, filter bubbles, digital advertising and the role of social media in the electoral process. Very low presence of female journalists in online news; worrisome results on digital literacy, lack of transparency of online political advertisements are just some issues that need urgent attention. Jean-Paul Marthoz outlined origins and threats of the so-called “fake news phenomenon where “fake news” producers are often the first to denounce “the lying press”, a scheme to undermine independent watchdog journalism.